The Pöllauer Hirschbirne pear is very special because they are almost exclusively found in the Pöllauer valley in eastern Styria . 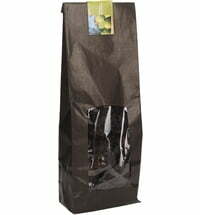 This pear variety is perfectly adapted to the geographical conditions of the region and has an exceptionally good flavor. 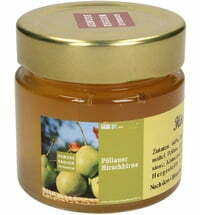 Neither the exact origin nor the exact time of origin of the Pöllauer Hirschbirne pear are known. However, there are indications that the variety was first bred in the 1800's. The oldest trees occurring in the region were planted shortly after 1870. At the time, the fruit was used mainly for wine production. Even the practice of drying pears has a long history, going back to the 19th Century. The Hirschbirne pear has also always been used for brandies. The origin of the Hirschbirne name is not fully understood. It is believed to be derived from the name "Autumn Pear", which can be attributed to the Eastern Styrian dialect where "Hiascht" or "Hirscht" is the word for autumn and "Birne" is the word for pear. The main growing area of ​​the Hirschbirne pear is in the Pöllauer valley. There, the trees thrive in areas that are about 350-1000 meters above sea level. Interestingly, the number of trees that grow in the region begins to climb after the trees reach a sea level of 800m. Higher areas are therefore preferred by the trees. Due to the mild climate of the valley, the Pöllauer pears develop a very harmonious flavor. They are tart and sweet and a little sour. Ripe fruits have a doughy consistency. The flesh is very juicy, is cream colored and has a coarse texture. The trees grow to a very old age, so they reach their average height of 10 meters only after about 120 years. They have very diverse leaves that usually take the form of a wide ellipse and are covered with dense hair. The white flowers of the tree are frost resistant. Since the trees are very resistant, virtually no phytosanitary measures against diseases and pests are needed, which facilitates the cultivation. Today, the Hirschbirne pear trees can still be found in the Pöllau Valley. The flowering and harvest time is late in the season. The pears usually mature between mid-September and mid-October. The trees have a very high yield of up to 1000 kilograms per tree. We process the fruits into spirits, wine and dried fruit. However, they are also eaten fresh. In addition, juice, vinegar, champagne, jams and jellies are made with these pears. Hirschbirne pears are also used for many traditional dishes.